I have always used a car seat mirror for Bunny. Bunny severely disliked the car from her first car ride, and being able to see her was VERY helpful for me. When I was unable to sit next to Bunny in the car, I took comfort in knowing I could see her. The first car seat mirror I purchased was hard to install and very difficult to obtain the correct angle in order to see Bunny. Every time someone sat in the seat next to Bunny, the mirror would get bumped. Every single time My Love put Bunny in the car, the mirror would get knocked out of place. It was a pain to re position it. I actually had to stuff a onsie and a burp rag under the mirror to achieve the proper angel needed to see Bunny. My Love often commented on how much he hated the difficulty of the mirror and how poor the design was. I do not know how many times I had to readjust that mirror! First I would sit in the driver seat to see where I needed to move the mirror to, then move to the back seat and adjust the mirror, then back to the drivers seat to see if it was at the correct angle. I repeated this until I FINALLY was able to see Bunny. Very frustrating and very inconvenient. The first mirror I purchased also had a built in night light and sounds. The night light only stayed on for a minute or so, and the music was nice, but did little to soothe Bunny. Installing the Little Tikes Mirror is SUPER easy. 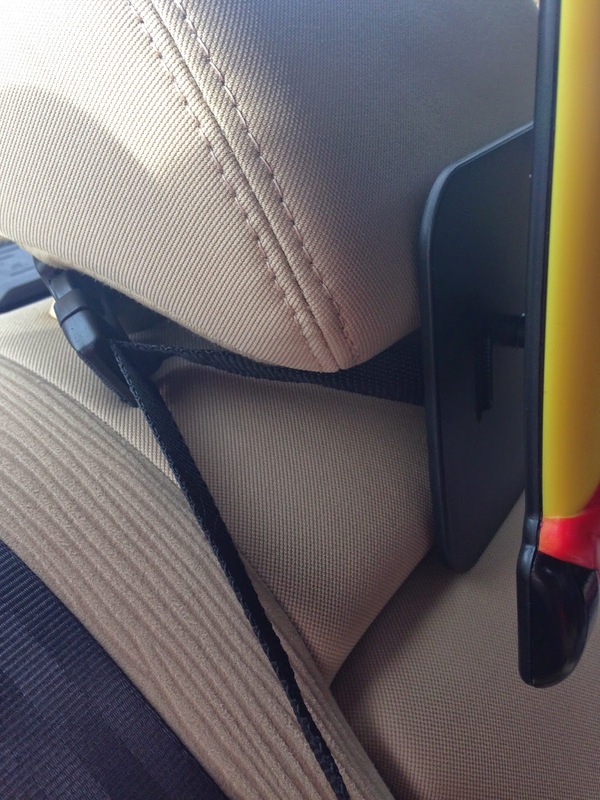 You simply clip the base of the mirror onto the headrest of the seat your child’s car seat is on. This mirror rotates 360 degrees and pivots on a ball and socket. 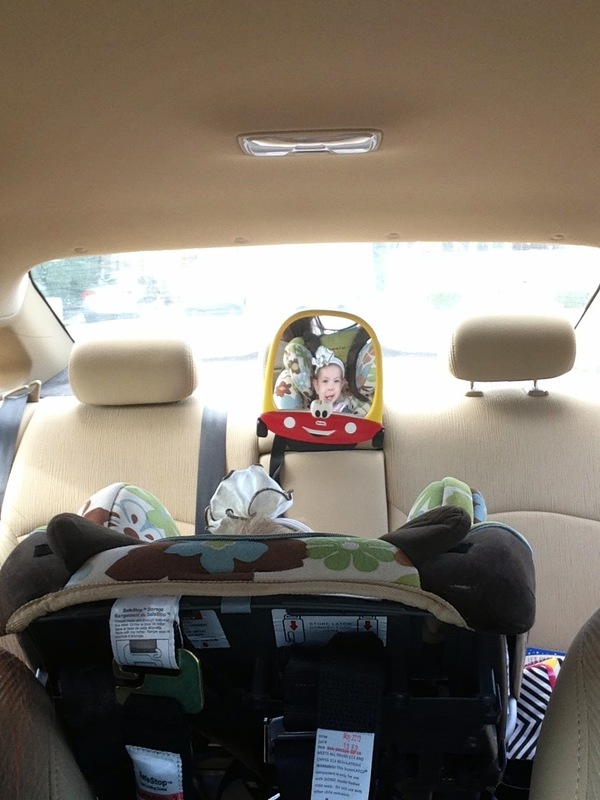 Because of this, you do not need to place the mirror directly over your child, and it does not interfere with your rear visibility. It is very easy to obtain the correct angle with this mirror! You simply move the mirror, not the base! It took me maybe one minute to find the proper angle with the Little Tikes mirror, versus the first fancy mirror I purchased. The Little Tikes mirror does not have any sounds or lights, but honestly, those things are not needed. 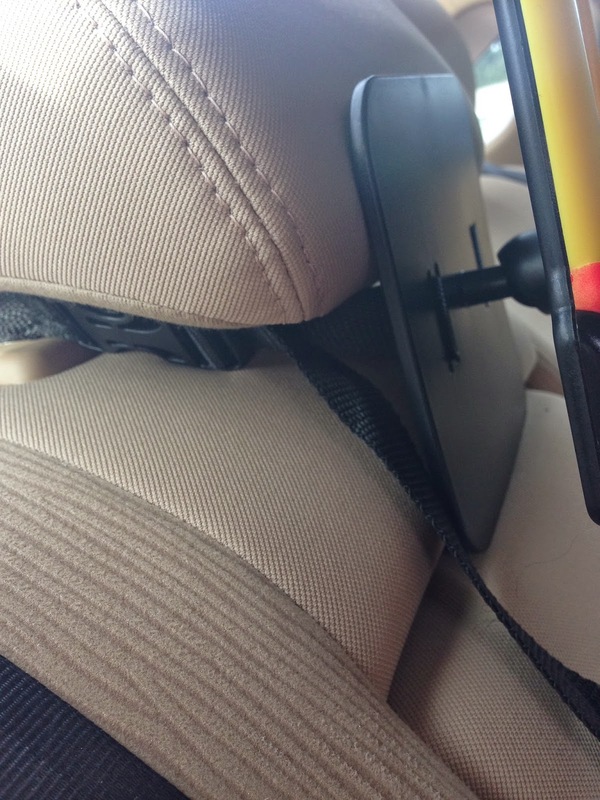 To install, clip the strap around your headrest. Then tighten the strap. That is it!!! I can easily adjust the angle on the Little Tikes mirror. My Love still bumps the mirror every single time he puts Bunny in the car seat, but it does not knock the entire thing off balance. The base of the Little Tikes Mirror stays in place. The mirror itself is what gets moved. It is an easy fix! I simply move the mirror around with a few minor adjustments, and it is back on track! I don’t have to re strap the mirror in every time, I don’t have to shove clothing behind the base to achieve the correct angle. It takes me only a few seconds to adjust the Little Tikes mirror back to the angle I want it at. You can move the mirror any direction you would like. Look how far it can turn on the base without moving the base!! Bunny loves being able to see herself and me. You can position the mirror any direction you want it to be in. I can not imagine NOT having a mirror to see Bunny. Bunny and I wave to each other via her mirror. We make funny faces at each other. Bunny can see me and I can see her. For us, this makes riding in the car much easier. Bunny is still rear facing at 15 months and will continue to rear face until she outgrows her car seat’s weight and height limit. (Read more about continued rear facing here.) 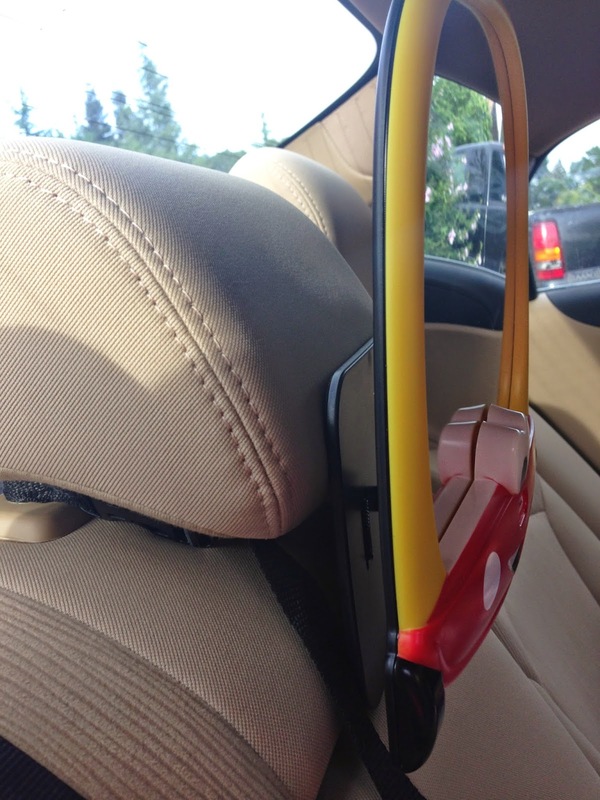 The Little Tikes mirror is extremely useful for continued rear facing. I can see my sweet baby and make sure she is doing well. 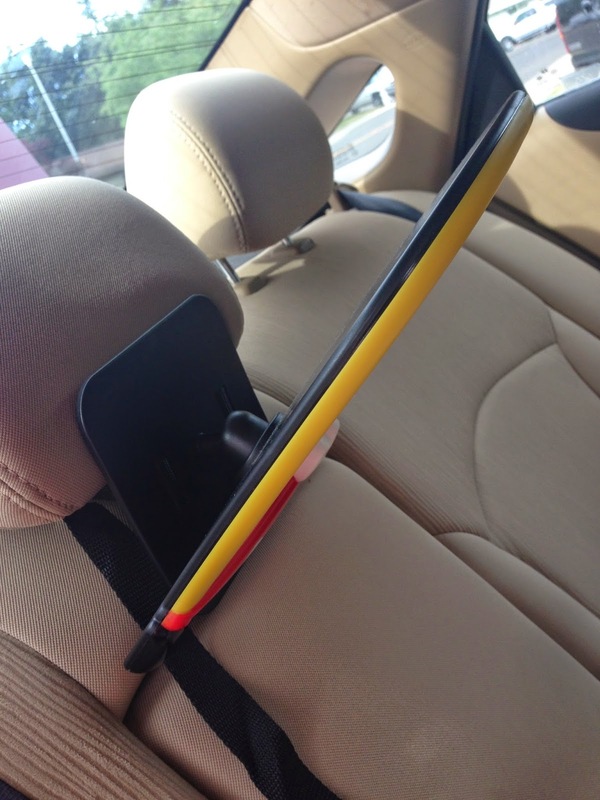 The Little Tikes mirror is also very handy in that, with the mirror, I never forget I have my baby in the car with me. As summer is approaching, I am reminded of the many times last summer when I heard news stories about children accidentally being left in the car and being injured. With the Little Tikes mirror, you ALWAYS see your baby. There is NO way you will NOT see your baby. You can not forget about your baby if you are constantly looking at them! Every time I look in my rear view mirror, I see my sweet baby’s face. If you are nervous about forgetting your child, I highly recommend purchasing and using a car seat mirror. I LOVE the Little Tikes mirror! It is extremely easy to instal and even easier to position! The best part is, it only costs $15! The first mirror I purchased with all the bells and whistles was around $30. The Little Tikes Mirror is half the price AND a better design. This is a MUST have baby product for me. 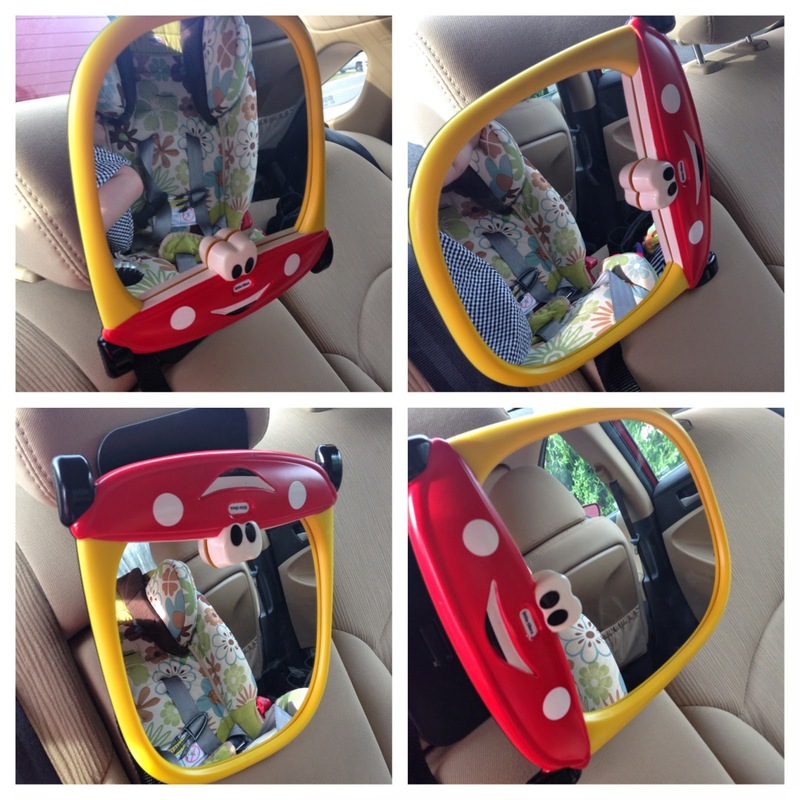 You can view the Little Tikes Cozy Coupe Mirror here. Enter to win your very own Little Tikes Mirror! Leave a comment on this blog post – you can do this once a day to earn one entry per day! Fill out the form here. 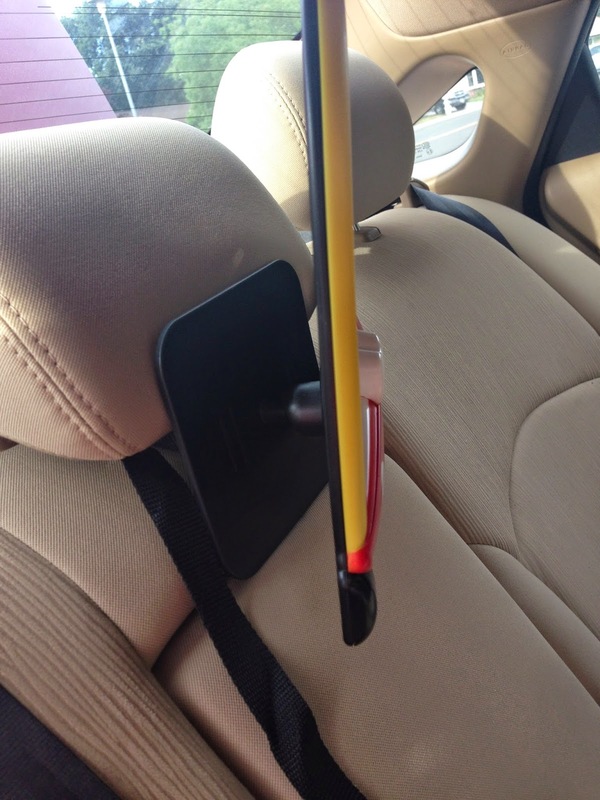 Do you need your car seat mirror now?! 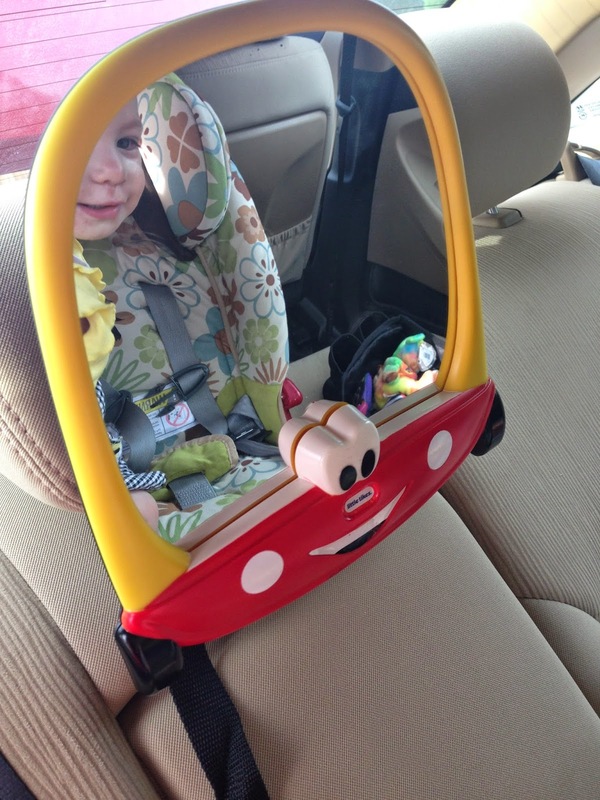 You can purchase the Easy View Mirror (a sister item to the Little Tikes Mirror) here. Disclaimer: I received these items to review. My opinions are my own and are in no way influenced by the product owner.